Thanks for the awesome feedback there. I must say I was confused and you have cleared up a few things for me. I will get the stallion theme to run on my site and I must say that I dont understand all that you have offered as guidance in the posts where we have communicated so I will most likely be asking more questions when I’m getting things going which I plan for this coming week. May i suggest that you think about creating a proper sales letter for your theme as all of your info is all over the place. I do have some copy writing experience. Perhaps we might assist each other ? It’s only when you want to achieve something highly specific like silo links within widgets that it requires a little more effort. The few video tutorials I’ve made are not generating any interest, the one below is about the Stallion Responsive SEO Posts Widget which is an awesome SEO feature and it’s only had 100 odd views! That was for Stallion Responsive 8.0, in 8.1 has more features not covered in the video. Feels like a waste of time creating video tutorials if Stallion users aren’t watching them, so creating video tutorials is always on the list of things to do, but I’d rather be creating new SEO features. Note the video above is loading within a comment, new Stallion Responsive 8.1 feature. WordPress doesn’t automatically embed YouTube URLs added to comments as videos. There are plugins that do this, my version is also mobile responsive (resize this window to see), the videos resize with the 16:9 ratio (all YouTube videos added to posts, comments, widgets are resized 16:9 ratio). Go try to find a WordPress YouTube video plugin that does that, was quite a difficult feature to code. From 12 months ago this Matt Cutts YouTube video discuses pagespeed, confirms it’s a small ranking factor (12 months ago) and they MIGHT in the future incorporate pagespeed more. That’s an important SEO confirmation and indication where Google might have been heading (it’s 12 months ago). Today we see Google Pagespeed Insights Tool getting harder and harder to keep in the green (good results) and this might suggest they are ramping up pagespeed and other user experience metrics as important now and more important in the future. Only ~13,000 views in 12 months, 35 views a day. If an SEO video about pagespeed (performance SEO) from a Google employee who is considered the go to guy for SEO insights direct from Google only generate 35 views a day, not a lot of people are interested in SEO video tutorials filled with information (his videos are short as well). Creating videos takes more time than writing content, I can run a comment out like this one in 5-10 minutes. Thanks for the offer on the Stallion sales page, it’s on my list of things to do, I have a tendency to get caught up in building SEO features rather than describing them. There’s loads of features I’ve not wrote anything about, like the way to silo links, just hadn’t got around to describing how to achieve it until you asked. Unfortunately there’s no way to put all the features onto one page or even a small number of tutorial pages, there’s just too many ways to use Stallion Responsive to describe in a structured way. I’m describing theme features through out the site for a very good reason. When I’ve created distinct Stallion tutorials barely anyone visits them, I’ve found users don’t want to know how to use every single feature, they want to know how to achieve an outcome (like your question about siloing links). When a user asks a question (like you did), I can describe in detail the pros and cons of what they want to achieve and how to achieve it (if possible). Overtime this creates a set of resources to achieve SEO outcomes users want, rather than lists of features no one reads. Also means I can generate more traffic to this site and make more sales whilst supporting current Stallion Responsive users. I have a page in the top 10 for the Google search “Silo SEO Theme” with an article I wrote less than 2 weeks ago, as links are added to the new SEO article it should gain more silo SEO relevant SERPs and move closer to top 5. For those familiar with the Stallion Responsive SEO Package you’ll have already used the awesome Stallion SEO Posts Widget that’s built into the SEO package. I’m not exaggerating when I use the term AWESOME, I’ve been building sites with WordPress for about 8 years and I’ve never seen a widget with so much SEO and flexibility built in, I could sell the Stallion SEO Posts widget as a stand alone product, it really is that good. It just got even better. In Stallion Responsive 8.1 I added more features and options, after the release a customer asked about how good Stallion Responsive is regarding Silo SEO and as you can read at SEO Silo Theme it’s really good silo SEO wise. BUT it took planning and effort to add a silo SEO structure to WordPress using Stallion Responsive, for example to add a silo SEO structure to the Popular Posts widget for this site (built using the Stallion SEO Posts widget) required creating 7 widgets each with their own settings as described at WordPress Silo Widgets. I’ve looked into otherways to generate silo SEO link structures using WordPress widgets (there’s a variety of WordPress silo plugins, both free and premium) and what I’ve seen so far is even harder! Relatively to other methods the above (7 widgets) is easy, but I wanted a really easy way to silo SEO widgets (easy for you to use, not me create code wise :-)). I’ve achieved a one click silo SEO link structure widget option for the Stallion SEO Posts widget which will be added to the next Stallion Responsive update. It couldn’t be easier to use. Setup a Stallion SEO Posts widget (like before or edit a current one) and where there used to be a tick box for determining if the widget should load posts from all categories or only categories there’s now a dropdown selection box instead with three options. In effect one new option: Silo. When on a blog post only posts in the same categories as the post viewed will be shown. When on a category only posts in that category will be shown. For the rest of the site including the home page, posts from all categories are shown. Currently (August 2014) the Recent Posts widget (built with the Stallion SEO Posts widget) on the left sidebar is set with the silo widget option. Since I’ve had that widget setup on this site since day one all I had to do to silo the widget was select “Silo: ONLY Categories the Post Viewed is in” and “Save” and it was siloed. To see it in action look at it now (left sidebar) and view it when on the home page and a random category, the recent posts shown change depending on the categories a post is in. The other method (creating 7 widgets for the popular posts widget) still works, so you could take this silo concept in various directions. You could create a recent posts widget with the silo option on and use the Stallion display feature to only load on single posts and categories and build more recent posts widgets for other sections of the site. If you wanted the home page to output something different to tags or search results, easy to achieve. The basic silo widget option is better than anything else I’ve seen in terms of actually creating a silo SEO link structure automatically. Some of you will want it now, I’m not really working on the next update yet (8.1 was released earlier this month), so could be a bit of a wait for the next update. For those wanting it now download the silo SEO widget zip file which includes all the files needed (the file /widgets/stallion-wordpress-seo-posts.php) and more. As I worked on the new silo SEO widget feature I found a few of the Stallion sitemap page templates (used for making sitemaps) had an edge case issue (rare bug), I’d missed resetting a WordPress query related to categories and meant the sitemap pages are being recognized as category template files rather than static page template files. Not a major issue unless you use the new silo SEO widget option which relies on knowing a page is a page and not a category. So a few fixed page templates are within the zip file: if you don’t use the sitemap page templates there’s no need to update yet, been using those templates for years and no one (including me until now) has reported an issue. Also been looking into a small SEO performance issue with the W3 Total Cache Plugin (highly recommended plugin for increased performance, don’t think there’s a better caching plugin). The caching plugin by default enqueues the minified css and js files it creates directly below the opening head tag. Functionally it works, but if you check your site in Google Chrome audit tool with some Stallion Responsive features active that require inline CSS in the head it throws out a performance SEO issue. Using Google Chrome audit tool. 1 inline script block was found in the head between an external CSS file and another resource. To allow parallel downloading, move the inline script before the external CSS file, or after the next resource. Basically inline CSS should be loaded before CSS files. I have Stallion Responsive setup the correct way, but the W3 Cache plugin moves the minified CSS file up the code rather than down (should be directly above the closing head tag not below the opening head tag). Found a fix which will be added to the next update, you’ll find the two files I’m using on this site (header.php and header-2.php) included in the above zip file. These are small SEO performance improvements (will be millisecond load improvements) that only works for those who use the W3 Total Cache plugin, if you don’t use the plugin no need to update. When I do the next package update I’ll add a conditional check the W3 plugin is installed since those not using W3 Total Cache won’t need the code in their head area that the plugin uses. To use the new files unzip and either add the files via FTP into the main Stallion Responsive folder or the child theme folder. If adding to the child folder remember when you do a theme update (when I make the next update) be sure to delete the files as they will be no longer needed in the child folder. I am switching from a different theme to stallion responsive for a site I have had up for a while that has around 400 posts pages in total. The old structure was a bit of a mess when I looked and theme heavy code and so many plugins :-) . So I am simplifying the site and restructuring in seo silo style using your widget. I am also adding 130 new pages which is what this question refers to. With the seo silo widget for menus can I select to include pages in a menu. For example I have a main page and when people visit it and I want a specific sidebar menu of sub pages listed. I have approx 130 pages t hat are subpages. I dont want to do it via posts and categories but a main page and then subpages, is that possible. Simplifying sounds like a good idea SEO wise, with Google giving us an indication performance SEO and usability is going to be increasingly important, less is better. A custom plugin for selling products (Stallion sales). Google XML Sitemaps (my custom version for testing indexing all Stallion SEO Super Commets, not sure I’ll be keeping it yet). The Stallion SEO Posts Widget (which includes the silo SEO features) only covers WordPress Posts, so if you plan to create 130 subpages that are static Pages, no, the SEO Posts Widget only loads WordPress Posts. Next time I’m working on the SEO Posts widgets code I’ll see if Static Pages could be added, would be a useful feature to have that widget available to pages as well: in one of my other comments I’ve linked to a development version of the widget with more silo SEO options, you should use it as SEO silos are important to you. Personally I avoid using static pages, there isn’t anything special about them output wise**, they are basically WordPress Posts that aren’t added to categories, tags, archives, search meaning you are taking them out of the automated linking that makes WordPress so easy to use. With a static Page you have to either manually add links to it (custom menus for example: “Appearance” >> “Menus” which can be added as widgets) or use the basic Page widget that lack features and is not suitable for hundreds of pages. I think the WordPress Static Page concept was meant for a small number of pages, about, contact sort of stuff rather than build an entire site with them. ** In core WordPress Static Pages have a Page Template system not available to WordPress Posts, but Stallion Responsive has a feature that means we can use Page Templates on Posts as well (turn on: Stallion Layout Options page). I also added features to Static Pages that are normally only available to Posts as well (if I recall correctly Pages normally lack comments). In Stallion using Posts is almost always better for the internal linking options. Only reason to use Pages over Posts is the lack of automated internal linking, since nothing is automatically linked you can manually build SEO silos, presumably why pretty much everything WordPress silo SEO wise I’ve looked at uses Pages and not Posts: going to have to look to develop a new feature to add a check box on posts to automatically take them out of normal category linking etc… then there would be no need for Pages. If you create the subpages as Static Pages you could use custom menus and use the Stallion Display widgets feature (turn on, on the Stallion Layouts Options page) to set which sections of the site to load them on. Create a custom menu for each top static Page that has subpages adding which ever subpages you want in the custom menu: there’s no automation, it’s a lot more effort than using the Stallion SEO Posts widget. Add the custom menu widget to a sidebar selecting the custom menus you’ve created and select which parts of the site that widget should be shown on. With 130+ static pages the Display Widgets options (bottom of each widget) are going to get cumbersome since static pages are shown for selection. I read in a post that you were planning to have a feature where individual menus can be set to display on certain areas of the site. I have a members area for my site which is currently in its own folder on a different domain. I want to move the entire members area to the main site so that the benefit of the free and paid members being on site for longer goes to the main site. So this feature im looking for will effectively create a members area within a main website and with its own menu. I guess at the moment I could do this by creating a categoy and have the members pages as posts but there are topics and sub topics for the members area. does the seo silo widget give the ability to list posts and sub posts in a category. I want to make the navigation of the members area as clear as it is now. The individual menu feature was regarding the main navigation menu below the header: the charcoal coloured bar with links that the anchor text turns blue when hovering over. Not started work on it yet, so right now (Stallion Responsive 8.1) the navigation menu below the header is sitewide: IF I can get the feature I have in mind working users will be able to create multiple nav menus that are loaded for different sections of a site (no time frame for this). As mentioned in my last comment there are already custom menus built into WordPress that are available as widgets, custom menus are a core WordPress feature. By using the Stallion display widgets feature (turn on: Stallion Layouts Options) you can set which sections of a site a custom menu widget is loaded under. The Display Widgets feature works with most widgets, some older widgets that are single use won’t have display options. You can create multiple custom menu widgets linking to anything you choose and load each on a different part of the site. So you should be able to build a custom menu for a members area. With Stallion you have the SEO Posts widget with the new automated silo SEO option (see the comment with development zip file link) and the Display widgets feature for setting which parts of a site other widgets should load on. Basically two ways to silo widgets. You don’t have to limit yourself to siloing custom menus, look at this post WPRobot Review and note on the left menu the image link to the WPRobot site. That’s a WordPress text widget with the Display Widget options set to only load on two WordPress posts. Im on the css at moment and will come back to this and test. I did up load the new files in zip from that post so widget should work fine. I guess it would be easier to use the custom menu when you have that ready as I can use drop down menus in that as it wont be seo value much as most of the page will be protected content. Added the Widgets Anywhere feature to Stallion Responsive 8.1 and not wrote a tutorial per se yet, but there’s full instructions on the Widgets Anywhere options page “Stallion theme” >> “Widgets Anywhere”, so wouldn’t be adding much to that information. Stallion is built in a modular way, if a feature isn’t used there’s nothing loaded to waste resources. Edit the Post/Page and include the relevant shortcode for a widget area you created above into the area of the content you want the widget area to load. The surrounding code is so your widgets use all the font styles etc… widgets on sidebars use. If you want to NOT use all styles use the plain shortcode only. If for example you wanted a “Tagcloud” to load in the middle of the content of a handful of posts (not sure why anyone would want that, but here goes :-)). Under “Appearance” >> “Widgets” you’d drag n drop a “Tagcloud Widget” into say the “Stallion Anywhere Widget Area 1” widget location. Add whatever settings for that widget you wanted (same as you would if you wanted to create an Tagcloud on a sidebar). into all the posts you want this widget area on. It’s that simple, with this feature you can add widgets anywhere within the main content of a Post/Page. Want the use the Left Sidebar within a post replace “st-right-sidebar” with “st-left-sidebar”. If you wanted a new widget area to be added to a particular part of Stallion this can be achieved as follows. First you need to work out which php file to edit to add the shortcode, this isn’t always obvious, so will give an easy example. single.php is the template file responsible for generating the output of WordPress Posts (page.php is for WordPress Pages). Note: We add the function_exists part to check this feature is active (swa_template is a function used by this feature). If the function doesn’t exist (if in the future you disable this feature) we don’t want WordPress to try to load the widget area, would break your site. On WordPress Posts only whatever is added to this custom widget area will be loaded. This would give you a full width widget area that only loads on WordPress Posts and uses the Stallion layout/styling other widget areas use. You might not want a new widget area to use the Stallion styling, in which case you wouldn’t add the additional code above and add your own CSS styling. Stallion includes multiple Page templates, Page templates are there to generate interesting features/layouts for a particular post or page. There are over 20 built into Stallion Responsive including multiple sitemap templates, multiple home Page templates with a combination of content and archives. You could use the same procedure as described for single.php on one of the built in templates or even create a new one. The Stallion page templates tend to be named page-***.php. page-comments-on-top.php for example is a page template that puts the comments at the top of the content rather than below it. You could also make your own, page-example.php is there for you to create new page templates easily. Stallion also includes category template files for example category-full.php which when selected (via a Stallion feature) results in the category outputting full posts on the categories rather than excerpts. You can edit these the same way as described for single.php, there’s an example category template category-example.php for your use. WP Custom Page Template for Archives : example page template output. Regarding the Stallion SEO Posts Widget missing. Each ticked box will disable that widget completely. So here is my plan and I was wondering if you could advise how to make this work within stallion wp seo theme. I want to move my membership area which is currently on its own WP installation on a sub folder of another site. I have a membership software to that is installed and ready. I would like to create a “custom page template” for the members area which has its own header but is exactly the same look as the rest of the main site and it will have its own widget area so that the content of the widget area applies only to the members. How do i do this David? Page templates are literally for a single WordPress page, not a section of a site. A section of a site includes a main entry point (a category for example) and multiple WordPress Posts or WordPress Pages, could have tags as well. Although there are advanced Stallion Responsive features related to page templates (and category templates) accessed under “Stallion Theme” >> “Layout Options” : “Custom Templates” there’s no main navigation menu templates. Sounds like you want a separate navigation menu for the membership part of the site. Currently that’s not part of Stallion Responsive, a feature I’m interested in adding, but not started work on the feature yet (no time frame). Currently the solution is a separate WordPress install in a directory. If you can live without the separate membership navigation menu and put the navigation on a sidebar you could add a membership section to WordPress and use Stallion Responsive Display Widgets features to only load the membership menu on the membership part of the site which would maintain your silo link structure. The difference between separate WP install and the Stallion Responsive solution is with a separate install it can have everything different, with the same install the membership links would be siloed on a sidebar, not the main nav menu. If I were to switch the sidebar from currently being on the left in the main site to being on the right in the members area I guess that would also make it pretty obvious for members. How can i make it (the custom template) have its own header image or does it have to share a header image with the whole site. also which specific widget do i use to create the menu for the members area is it the wp custom menu widget from the widgets area? You can use the core WordPress Custom Nav Menu feature under “Appearance” >> “Menus” to build menus and use the core WordPress “Custom Menu” widget for using them on a sidebar. You’d use the Stallion Display Widget feature to limit which parts of the site the custom menus loaded on to maintaining your siloing. 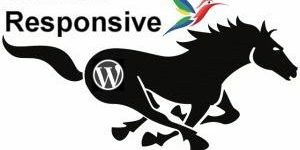 Every WordPress Post and WordPress Page can override SOME main Stallion Responsive options. Go edit a Post and look under the “Stallion Layout and Colour Scheme Options” box. Using those settings you can set a different layout, colour scheme, header image etc… without any theme editing. The above covers some of what you’ve asked about, this is for WordPress Posts and WordPress Pages, doesn’t cover categories or tags output. You could have 10 WordPress Pages or Posts and set a different layout, colour scheme and header image for each. Since there’s 12 Stallion layouts and 40 Stallion Colour Schemes without any customization you can use any combination of the above on any WordPress Page or WordPress Post now. There’s an advanced feature for using different templates for different parts of a site, with a fair amount of PHP customization you could build a category template that uses a particular layout and colour scheme (not built one, so don’t have an example). Under “Stallion Theme” >> “Layout Options” turn “Custom Templates ON” which will add a new options page under “Appearance” >> “Category Templates”. Here you can set entire categories to use a particular Page Template and/or set categories to use a category template. This feature takes WordPress core to a new level. With WordPress core the custom template system only works with Static Pages, with Stallion Responsive it works with Static Pages, WordPress Posts (posts can use the page templates**) and Categories. ** WordPress core isn’t designed to allow different templates for posts, only static pages. I guess they worked on the principle webmasters would not want to have a different look for blog posts! I’ve not built many category templates, but have built a number of page templates. To expand Stallion/WordPress further you can build your own, but it’s not something I’ll cover via support here to a high level because it involves advanced PHP modification. Unless you understand PHP or mind a lot of testing to see how it works (that’s how I learnt PHP :-)) it’s not a case of make this minor edit and it works. It’s creating new php files, adding/removing PHP code to add/remove features. For example I built a “Static Page Blank Sales No Sidebars” template (file: page-sales.php) which ignores which ever layout options set and always uses the full width layout (no sidebars: actually stripped the sidebar code out of the template) and is for building a home page that uses little of the Stallion CSS. I couldn’t explain how to create this file in a comment, you need to understand some PHP to build custom templates and unless I think the template is useful to me or a lot of people I don’t create them. Compare page-sales.php to page-example.php (this is what static pages normally look like) to see how different they are code wise. To use the full width layout all the time had to add the entire header.php template file and modify it. page-example.php – For Posts and Pages. Starting point would be make a copy of one of them, rename and edit as needed. You’ve completely misunderstood how Stallion Responsive works (how WordPress Themes work). To simplify the main Stallion output what we see in a browser) is controlled by the php files. The content parts are built using different files based on what section of the site is loaded. You get the idea, there’s more templates (php files) for different sections, this is how pretty much all WordPress themes work. If you want to take full advantage of WordPress templates there’s loads of tutorials about it. When this WordPress post is loaded it’s made by using the following files header.php, sidebar.php, footer.php and single.php. Go to a category and these files are used header.php, sidebar.php, footer.php and category.php. I’m simplifying, there’s a lot more PHP files used, but you get the idea, this is a template system and it builds the HTML you see when viewing source. Doesn’t matter which of the 12 layouts you choose under “Stallion Theme” >> “Layout Options” or which of the 40 colour schemes you choose under “Stallion Theme” >> “Colour Options” the HTML code we see is always the same. How the browser renders the HTML layout, where bits are located on the page (the layout), colours for fonts etc… are set by three CSS files a layout-**.css file, a style-**.css file (for the colours) and a mobile.css file (latter for changing things in smaller mobile devices) these are all in the folder /colors/. With most themes you just get style.css which does it all, by having so many CSS files you have more control over the output. When you choose one of the 12 layouts under “Stallion Theme” >> “Layout Options” it chooses a specific CSS layout file (only one), the HTML or the PHP files used isn’t changed it’s always the same header, content, sidebar, footer PHP files. Same for choosing a colour scheme, there’s 40 CSS files with different CSS rules to generate different colours. So the only thing that changes are the CSS files. One layout, one colour and the mobile.css file. So layout option “#3 Main Content 660 left sidebar 310” (which chooses the “layout-310l.css” file to load) has got nothing at all to do with the page-front-03.php template file which is a custom Page template for creating an interesting output. As mentioned above the HTML for a WordPress post (like this one) is built using these files. single.php can be replaced by any of the custom page templates I’ve created or what you could create. If you choose on the Edit Post page (edit a post) the “Post Template” >> “Front 3 – Page Content and 6 Popular Posts”. Stallion will use these PHP files to build the HTML. The template file page-front-03.php includes code so 6 popular posts are loaded below main content. It’s an interesting output for a possible home page for some websites. If you like that output, but want to alter it you can either copy page-front-03.php into the child theme folder and edit to add/remove code or copy to the child theme and rename to create a completely new template. And you’ll still have the original “Front 3 – Page Content and 6 Popular Posts” template and a new one called “Front 3 – Page Content and 6 Popular Posts Custom” which has identical features. Now you can modify page-front-03-custom.php to add remove features. What I did was add the header.php, sidebar.php and footer.php code directly into page-sales.php so I could modify it. I made a copy of header.php, renamed to header-2.php. Made a copy of single.php and renamed to single-2.php. If you want to build custom templates you can. but it’s not something I can’t tell you how to do. It’s too complicated for example to explain how you could create header-3.php and make it so header-3.php loads different features than header.php including a completely different header: if you know what you are doing can build anything you like. To use these advanced features you’ll either need to learn PHP and the WordPress templating system or find yourself a WordPress expert who can do it for you (I don’t have any recommendations). The easy solution to this is install a second copy of WordPress in a sub-directory and use it for the members section like at. Two WordPress installs, second install grabs RSS feed data related to politics.